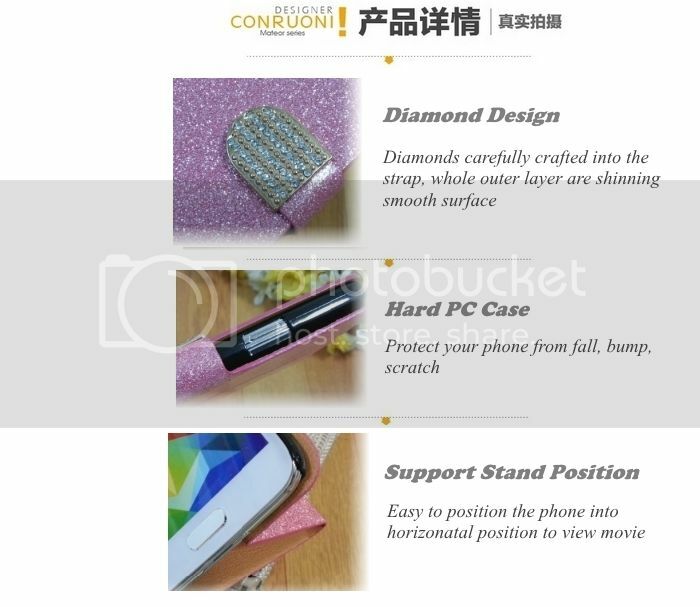 The Diamond Design Cover & Stand is specifically designed for the your smartphone. The sophisticated styling of the Diamond Design Stand/Case features a unique, patent-pending mechanism provides classy, trendy and unique look and feel that will definitely make your smartphone stand out of the crowd. 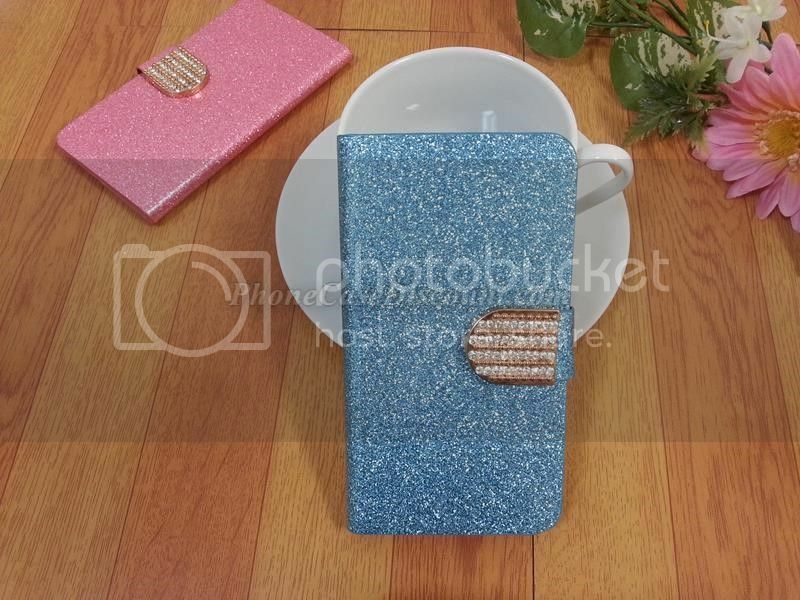 The surface of the cover is ultra smooth as the blink is embeded into the inner layer of the cover. Aritificial diamonds which firmly crafted into the strap allow you to close your phone cover securely. For optimum comfort, this case offers horizontal viewing positions which is ideal for watching movie / play games on the screen. The form-fitted case design securely holds the phone in place while the hard-sided exterior provides a sturdy, protective cover. The soft interior lining adds color and protects the device against scratches. The thin design makes it easy to carry inside of another case adding little weight or thickness to the phoneitself. This case provides full access to all functions such as access to On/ Off button, volume control, camera, USB ports so your phone can be fully operational without leaving the case.